Stir the sour cream, horseradish, dill, parsley and lemon juice in a small bowl. Season to taste. Spread the sour cream mixture on the bread slice. 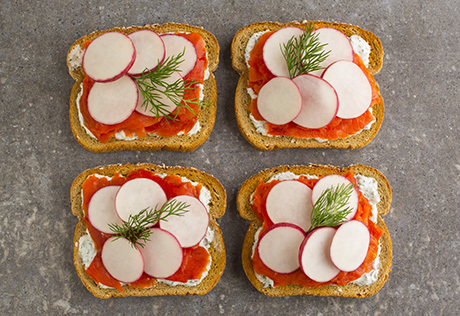 Layer with the salmon and radishes. Top with additional sprigs of dill, if desired.